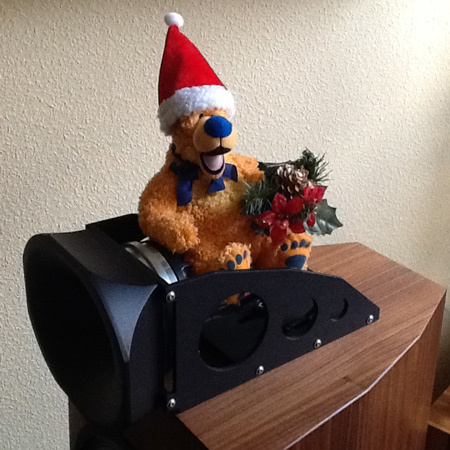 rich and full with music! 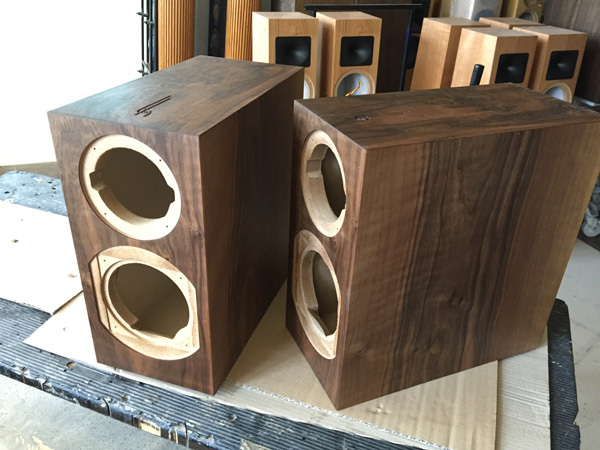 After a longer time, we have found a good format and a competent partner for making professional pictures of our loudspeakers. 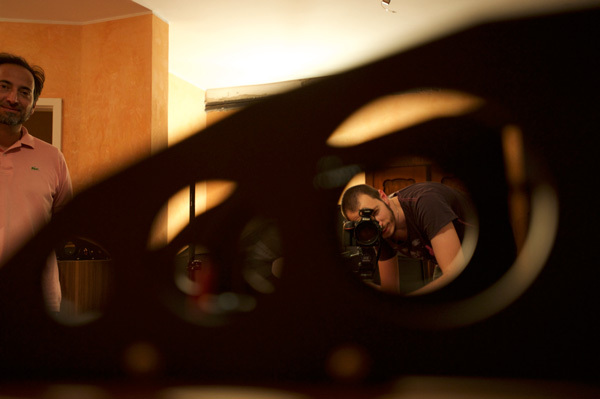 Andrea Pecchiari, the son of a friend is in love with photography and does have an actual competence in working with lights and shadows. You will soon see some of his pictures in our web pages. The step forward is amazing and we are looking forward for the progressive implementation. Here You can see some pictures on how we worked today. On the 28th we will start the dry run of the show. We will post information here, in the dry run page. If You are curious, stay tuned! We wish a gorgeous 2016 to all our friends, dealers, customers and distributors. Looking forward for a successful 2016!! 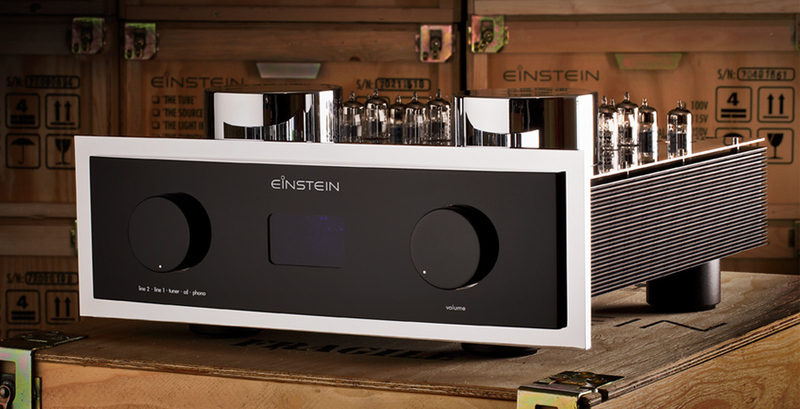 During the Munich High End Michael Lang of Stereo and Uli Appel interviewed me and Volker Bohlmeier from Einstein Audio about the way the things were going and the news from the fair. Here You can watch the interview. Of course in German. 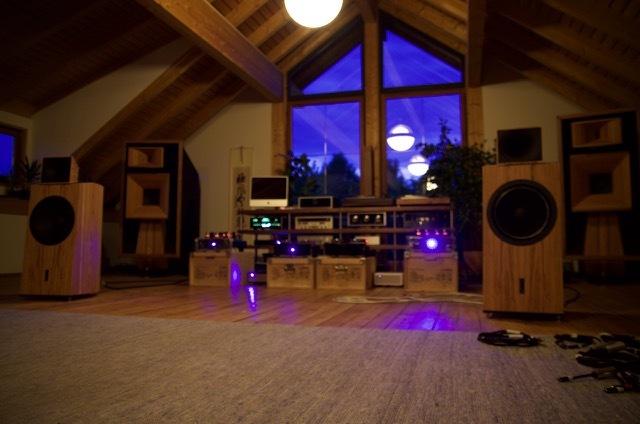 We introduce the Dream-Systems Page and its sub pages, the Dream-System Pages. It has been a long work and it needed the cooperations of several people inside and outside our direct network. 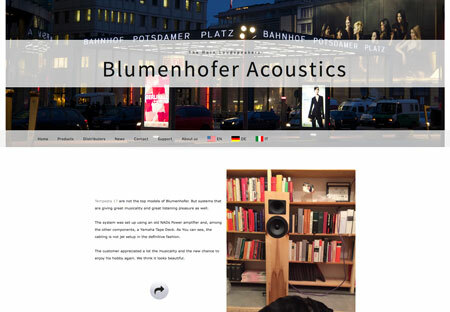 We want to tell how beautiful the Blumenhofer systems can be and therefore we invited some of our customers to submit their systems to be published on our pages. 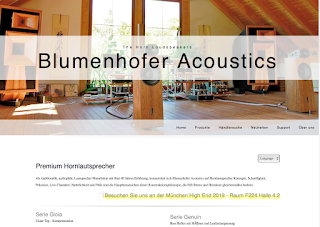 We want the customers to share their opinion, their history and the reasons that moved them to choose Blumenhofer Acoustics. And we would like to share this feedback with our customers as well. To give to the Dream-Systems the place and the space they deserved, we had to redesign the main landing page and the splash screen. 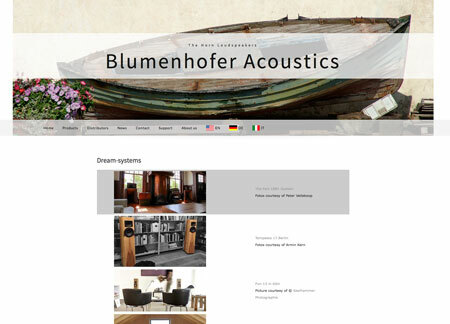 In the start page of blumenhofer we include one random system out of a max of 30. But in the Dream-Systems we can add as many Dream-systems as we like, because each system submitted by the customer (and accepted by us) receives one page on its own and a position in the main Dream-Systems page. 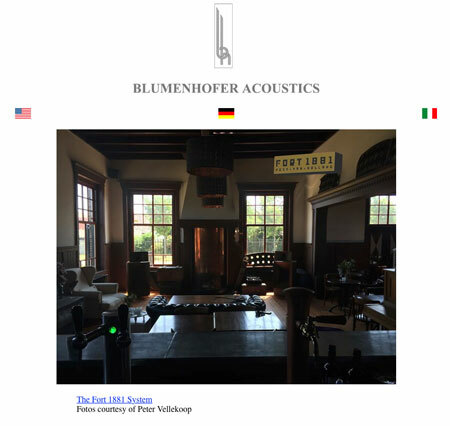 It is about the customers, not about the dealers or distributors: in these pages, the customers are in focus, like in each of our product and development. - Then, depending on the quality and quantity of the pictures submitted there could be a slide show. 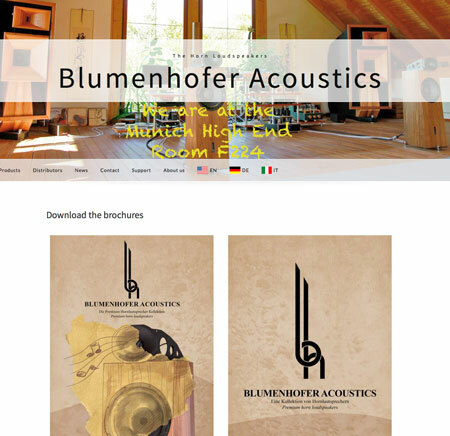 If You should feel inspired and would like to share Your Blumenhofer Dream System with us, do not hesitate to contact us! 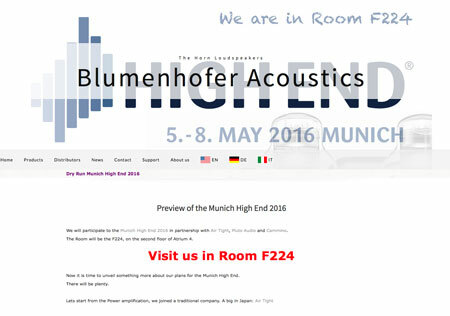 Finally ready, here You can read the full story of our Munich High End 2015. 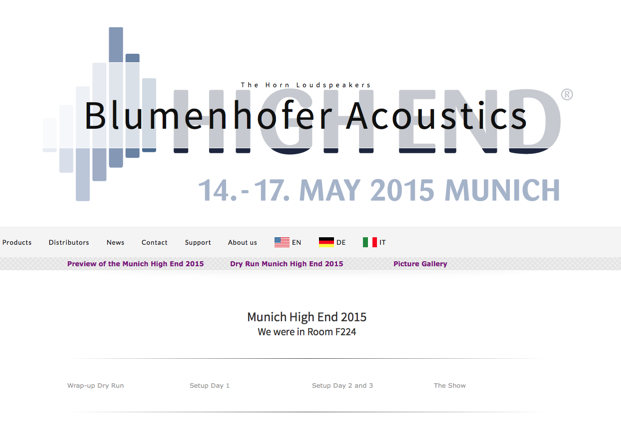 The Dry Run page for the Munich High End is now online. You can find it here. Its content will be extended day by day: visit several time until the start of the show. We have a new page, I'll expand its content regularly to put more interesting information in it as I get them. ...was a challenging implementation process!